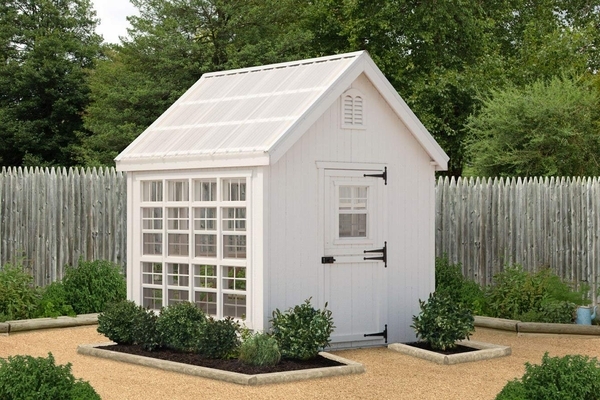 The Garden Shed Panelized Greenhouse is an exclusive Little Cottage Company design, part greenhouse and part garden shed. With six-feet-high side walls and panelized wall sections, all other pieces are pre-cut and ready to assemble. It also comes with greenhouse shelving and hanging rods! With plenty of windows, this greenhouse is topped off with a cupola with windows and a copper finial. 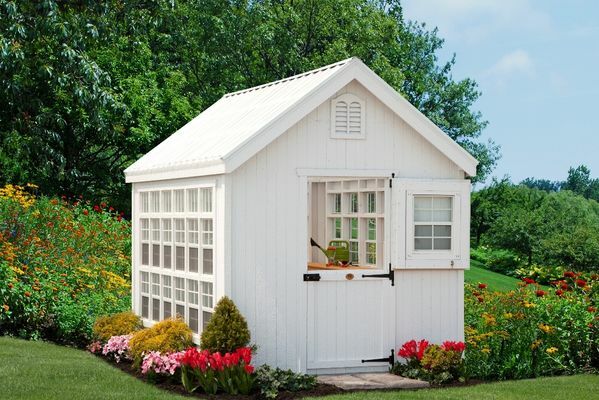 Make your yard stand out with this greenhouse shed hybrid!